The approach of this text is to take learners through a progression of materials in order to develop skills of modular, structured programming. The text was written, for the most part, without consideration of a specific programming language. The learning modules of this textbook/collection were, for the most part, written without consideration of a specific programming language. In many cases the C++ language is discussed as part of the explanation of the concept. Often the examples used for C++ are exactly the same for the Java programming language. 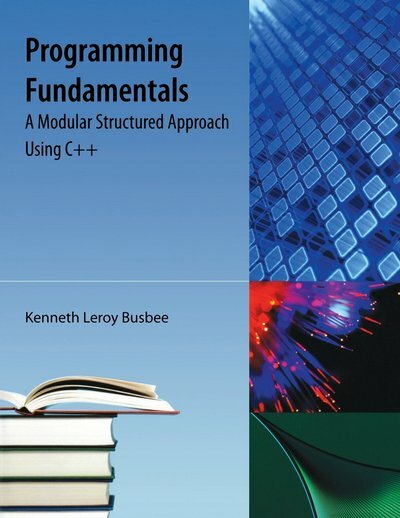 However, some modules were written specifically for the C++ programming language. This could not be avoided as the C++ language is used in conjunction with this textbook/collection by the author in teaching college courses. This open source compiler/IDE (Integrated Development Environment) was used to develop the demonstration source code files provided within the modules of this textbook/collection. The compiler/IDE is presented to the student in the second module of Chapter 1, with instructions for downloading, installing and using the compiler/IDE. A more complete explanation of the IDE along with demonstration source code listings with errors is presented in first module of Chapter 5. All of the source code files provided in this textbook/collection contain only ANSI standard C++ code and should work on any standard C++ compiler like Microsoft Visual Studio (which includes C++), Microsoft Visual C++ Express or Borland C++ Builder. Professor of Computer Science at Houston Community College in Houston, Texas.